My choice of garment is this grey blazer. It was originally purchased for the event I accidentally attended but ended up not been worn even once. It was seating on my closet for approximately 2 years. 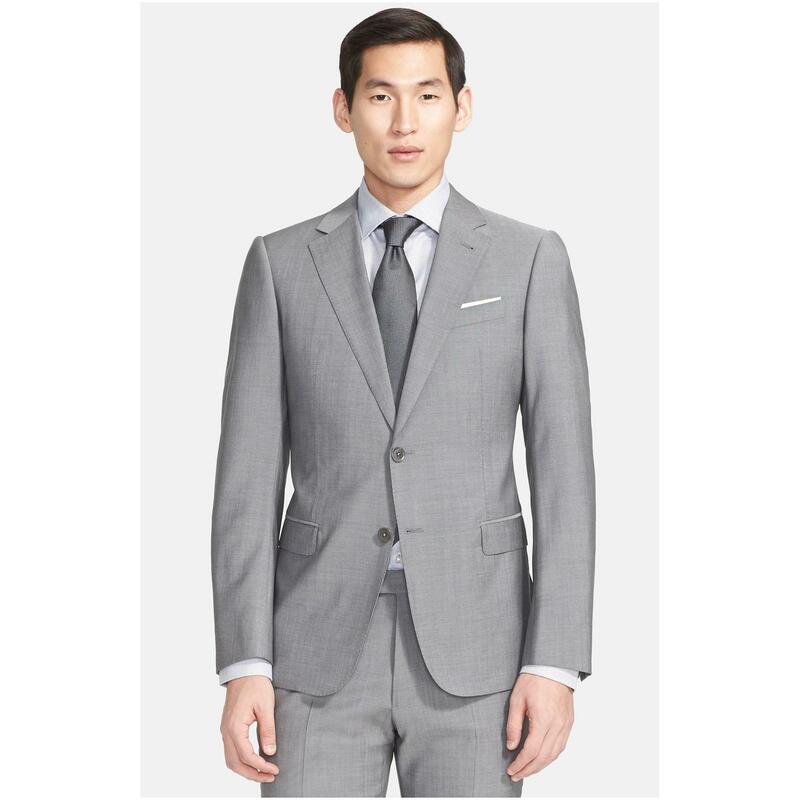 It is Armani Collezioni suit made with 100% wool and silk lining in Italian size of 46. The reason for it to ended up in my closet was because I ask for retailing and it took longer time than I expected so I ended up buying a suit from another maker for the event. It looks grey but in fact the fabric is constructed with black hound tooth pattern in white background.